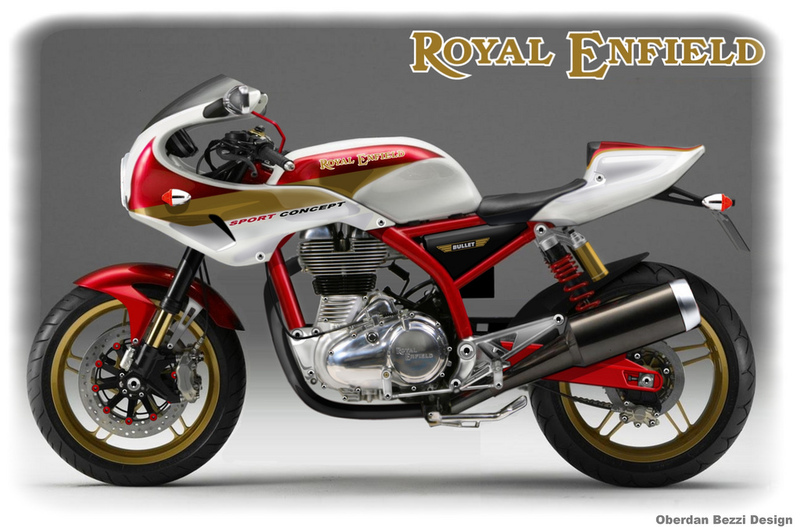 Imagine if Royal Enfield releaseded a sporty single 500cc for the European market. The Bullet Sport Concept could look a little like this. The production version will become simpler in order to reduce the price, but fundamentally it could have the same shape. The new engine is quite an improvement but this design might still be a bit of wishful thinking. It looks good, no doubt about that, and if you had a race series with only these bikes allowed, it could be a lot of fun. So, if you think about it that way, why not? Interesting. hope this happens soon !! I’d buy one…but then again, I ride because it’s fun. I honestly think this is a great idea.